In my first post after signing on with “Team Duck” I thought, before jumping into a series of weighty topics–rise of the east, end of the west, cratering of the middle east–it might be worth reflecting a little on my sojourn as a policymaker after beginning my career as a Political Scientist. As an IR scholar I started out specializing in the politics of international economics before gradually shifting over to the security studies side of this Poli Sci subfield. My first realization was that simply by virtue of how an academic always needs to more or less constantly stay up on advances in the literature, I had a knowledge base that almost all my colleagues lacked. For example, a discussion of terrorism included the postulation that poverty causes terrorism; yet I knew that academic studies had proven this wrong. To take another example, when the topic of democratization came up no one else in the room knew that democracies do not fight wars with one another. I’m no genius–not then and not now. I simply had a different background. It was illuminating to discover that most policymakers had obtained at most a Masters degree prior to launching their policy careers, but while Masters students learn a variety of things they generally do not obtain a thorough grasp of a body of scholarly work and the advances therein. I found out that the lack of this is more costly in government than most policymakers realize. I’m not sure the Obama administration could have handled this any worse. We live in a highly politicized world and somehow the Obama administration is “shocked, shocked” that this issue is being hyped. And while I’m sympathetic to the flurry of criticisms of FoxNews and others for hyping this, I’m also struck by how badly the administration has handled it all. Overall, I think this is a solid, prudent, and reasonable approach. However, this is generally where this administration gets into trouble. One of the central flaws of the Obama administration has been is its tendency towards vacillating displays of arrogance, indifference, dismissiveness, and open disdain towards those that challenge what it concludes are its inherently “reasonable” positions. While it seems clear that both President Obama and Secretary Clinton were deeply disturbed by the deaths of Ambassador Stevens and the others, the initial response also suggests that the administration did not see the attack as posing much more than the type of terrorist attack that is probably going to happen from time to time. It was a pretty big deal, but not a really big deal. If we’re looking for reasons why McCain and Graham are so angry about Benghazi, I think this is it. Obviously, it is slow around here over the long holiday weekend. 1. My wife and oldest daughter left Louisville early Saturday morning to attend the Inaugural. They do not have tickets to any events, so they will be among the masses tomorrow. However, they did have a well-placed friend for a pre-Tuesday function. As a consequence, they already met the President-elect and the rest of the Obamas! More here. 2. While most of my family is out of town, I’ve been reading email and blog posts about the incoming administration. Madam Secretary-to-be cleared the Senate Foreign Relations Committee easily, but the hearings had a somewhat unpleasant, if familiar, feel to them. 3. I’ve been crafting an assignment requiring my US Foreign Policy students to research likely changes Obama will bring. What will the “new beginning” look like? Because my university has to complete its work before the Kentucky Derby (always the first Saturday in May), we begin our third week of classes tomorrow. When I did this exercise on my own for publication in 2001, I didn’t anticipate 9/11 (“I do not address a litany of other potentially meaningful foreign policy concerns: … [including] terrorism”) or a new Iraq war (“Despite these menacing [campaign] statements and the early attack [bombings to enforce the no fly zone in February 2001], it seems unlikely that Iraq will be the foreign policy centerpiece of Bush II.”). This time, I’m looking for wisdom in the crowd. She’s filling both Deputy Secretary slots–who even knew there was a second deputy?(!! )–one of which the Bush administration left purposely un-filled. The NYT story raises the potential of future conflict between Clinton and other cabinet agencies who have been responsible for those portfolios over the past 8+ years. On the one hand, sure, there is always bureaucratic turf-fighting in DC, that’s the name of the game. On the other hand, there seems a genuine willingness and previous public policy commitment on the part of both Obama and Gates to enhance the role of State and hand off certain responsibilities to them. Here, I think, is where Obama’s legislative approach to Cabinet appointments and senior officials might pay off (ie, Senator Clinton, veteran operative Jack Lew as one of her deputies). One might recall, the emaciation of State that got us into the present state of affairs really began under the Clinton Administration. After the Republicans took control of Congress in 1994, Clinton had an extremely difficult time securing resources for State and diplomatic programs. The death of USIA and ACDA, folding them into State as Undersecretary spots, was the result of a compromise with Jesse Helms (with Biden as a co-sponsor of the bill) to win passage of other legislation on diplomacy. With Helms as chair of Foreign Relations, Clinton was not able to put resources into State for diplomacy. As a result, State languished. DoD, on the other hand, had no difficulty winning resources, as it was easy for Clinton and the Republican Congress to agree on money for the military. Hence, the military got money for nation building and other diplomatic activities normally reserved for State. Under Rumsfeld, this only continued. Its what Gates is reacting (negatively) to with his recent speeches, and its good to see Obama making it a priority to reverse this trend. Like all shifts in US politics, it will require an Act of Congress–literally, as the budget of both agencies will make or break these plans. Legislative players at major posts makes it somewhat easier to get this done. And, I think, having diplomats back in charge of key areas of US foreign relations will be a better thing. This is quite a slow, uneventful Thursday… Chinese food and movies. That’s what we do. Analyzing Obama’s National Security Team: change you can believe in? Today Obama formally announced the core of his National Security team: Clinton at State, Gen. Jones as SAPNSA, and Gates to remain at DoD. It’s a team of experienced insiders, centrists, pragmatists, and even Republicans. Some have asked the obvious question: Is this Change you can Believe in for national security and foreign policy? The selection of Jones is particularly interesting. He breaks a recent trend in the National Security Advisor position as a close policy associate of the President. Condi once said that her top job as NSA was to “staff the President” and she is very close to Bush. While Jones does not come from an academic or “policy” background, he is perhaps more experienced in areas relevant to the position. First, he has significant first hand experienced in the integration of diplomacy as well as political and military security from his time as head of NATO. SACEUR is a unique posting within the US military. It’s a ‘dual-hatted’ job, as both powerful regional combatant commander and head of the NATO alliance. The NATO role gives the SACEUR direct access to allied heads of state and a large diplomatic role in intra-NATO politics. The tough part of the job is balancing responsibility to the USA and the US chain of command as head of EUCOM and responsibility to the alliance as SACEUR. Wesley Clark talked about the tensions in this arrangement in his Waging Modern War book. It’s a job with no parallel. That Jones could successfully negotiate it bodes well for his chances to successfully negotiate the White House and National Security Council. Second, he has experience managing a large and complex organization and coordinating intra-bureaucratic activities. This perhaps suggests a shift in the role of the NSA and NSC. Originally, the NSA and NSC were designed as a coordination mechanism, to hash out differences within the bureaucracy in order to present a clear decision to the President and then ensure that the relevant agencies implemented the Presidents decisions in a coordinated and coherent manner. Over the years, the NSC has become the head policy shop and the NSA a key policy advisor—staffing the president rather than keeping State and Defense on the same page. The selection of Jones gives Obama an NSA who has the heft, skill, and experience to coordinate the massive cogs of the national security bureaucracy to implement Obama’s agenda. This is critical—too many seem to be focusing on the wrong indicator of change, be it a Cabinet secretary or potential policy prioritization. Any change you can believe in will require years to complete the slow boring of hard boards. Policies need to be implemented and institutionalized to provide lasting change, and Jones has the resume to accomplish this key task. With respect to Clinton at State, this remains somewhat a mystery to me—not that Obama would select her, but that she would take the job. For him, it takes the person who is potentially his biggest political rival off the political stage and puts her on the team where he’s in charge and she toes the line. She will win some battles, but she will lose some battle, and like all Secretaries of State, she will advance the President’s agenda in diplomacy. For her, it takes her out of the Senate where she has an independent platform to maintain a national political profile and pursue an agenda of her own choosing. It is, however, reflective of an emerging trend in Obama’s administration—selecting leaders with extensive Hill experience. Emmanuel as COS, Daschle at HHS and Health Czar, Clinton at State—these are three major players in Congress now joining the Administration. It suggests that Obama will place a key priority on relations with Congress, and he has people who know how to get a legislative agenda enacted. Maybe Clinton, using her Senatorial experience, will be able to win more funding for State and expanded foreign aid. That would be a welcome change. I am here to make the case for strengthening our capacity to use “soft” power and for better integrating it with “hard” power. 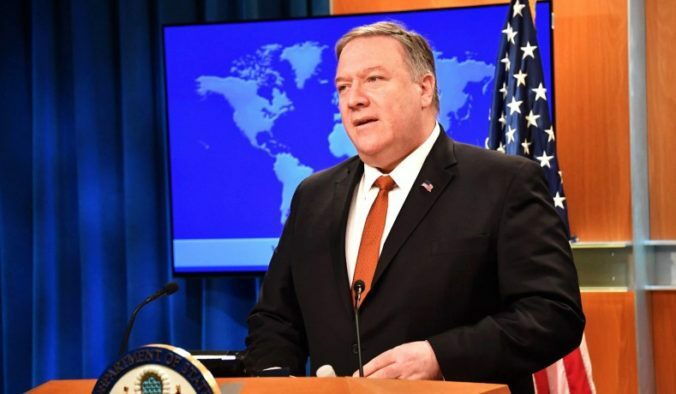 What is clear to me is that there is a need for a dramatic increase in spending on the civilian instruments of national security – diplomacy, strategic communications, foreign assistance, civic action, and economic reconstruction and development. Secretary Rice addressed this need in a speech at Georgetown University nearly two years ago. We must focus our energies beyond the guns and steel of the military, beyond just our brave soldiers, sailors, Marines, and airmen. We must also focus our energies on the other elements of national power that will be so crucial in the coming years. Now, I am well aware that having a sitting Secretary of Defense travel halfway across the country to make a pitch to increase the budget of other agencies might fit into the category of “man bites dog” – or for some back in the Pentagon, “blasphemy.” It is certainly not an easy sell politically. And don’t get me wrong, I’ll be asking for yet more money for Defense next year. Still, I hear all the time from the senior leadership of our Armed Forces about how important these civilian capabilities are. In fact, when Chairman of the Joint Chiefs of Staff Admiral Mike Mullen was Chief of Naval Operations, he once said he’d hand a part of his budget to the State Department “in a heartbeat,” assuming it was spent in the right place. After all, civilian participation is both necessary to making military operations successful and to relieving stress on the men and women of our armed services who have endured so much these last few years, and done so with such unflagging bravery and devotion. Indeed, having robust civilian capabilities available could make it less likely that military force will have to be used in the first place, as local problems might be dealt with before they become crises. Appointing a person with this agenda to head DoD fits in with Obama’s overall approach to international affairs, and this speech may be a major impetus behind keeping Gates. At Justice, Holder seems like a very good pick, especially given the monumental job of rebuilding the disaster that is the Bush DOJ. My guess is that while he will play an important role in national security affairs (ie the legal issues surrounding the closing of Gitmo), his plate will be full with more pressing issues in the domestic legal arena. Not mentioned and still to be determined: what Obama will do with the Intelligence portfolio in selecting his DNI and CIA head. He could treat the positions as ‘non-partisan’ and keep McCarthy and Hayden for a while (both served as head of the National Security Agency under the Clinton Administration and as career military men are more career officials than strictly Bush people) or he could bring in his own person to institute key changes and make statements on items like, say, torture policy. Ultimately, though, the proof of the pudding is in the eating. Obama’s promise to bring change will be judged by what he does as President: the policies he advances, the priorities he sets, the decisions he makes, the resolve he displays when under pressure, the course he sets for the United States in world affairs. While naming a couple of cabinet secretaries is certainly part of that, its only one small part. Regardless of what one may think of Clinton or Gates, they serve at the pleasure of the President and, in the end, are only as good or as bad as he allows them to be. Front page article in today’s Washington Post on Condi Rice’s management style as Secretary of State. Condi Rice does not use email. How on earth does she communicate? Is she a Luddite? Is she too busy going hither and yon to sit down at a computer? Or, is she too paranoid that anything she writes emails will one day be subject to a FOIA (or worse)? How on earth does anyone manage a large, global organization without email these days? I know some senior managers who claim to spend half their day on email. That may be a bit of overkill, but no email whatsoever? That boggles the mind just a bit. The Bush administration built an enormous embassy in Iraq — and now cannot find volunteers from the State Department to fill it. Nearly 50 diplomats will soon be sent to Iraq on a “forced assignment” — or be fired if they refuse to go. Perhaps because State’s HR Department fears that many will resign or accept termination, it had to send a threatening letter to 250 employees. That’s five candidates for each slot. Senior diplomat Jack Croddy, who once worked as a political adviser with Nato forces, highlighted safety fears of staff who would be forced to serve in a war zone. “It’s one thing if someone believes in what’s going on over there and volunteers, but it’s another thing to send someone over there on a forced assignment,” Mr Croddy said. “I’m sorry, but basically that’s a potential death sentence and you know it. Who will raise our children if we are dead or seriously wounded? State is offering a couple of carrots to encourage volunteers to take this hardship post — more money, generous leave, and greater choice in their next assignment. “As a result of the recent increase of indirect fire attacks on the International Zone, outdoor movement is restricted to a minimum,” it states. “Remain within a hardened structure to the maximum extent possible and strictly avoid congregating outdoors. Personal protective equipment (PPE) is mandatory until further notice. Juan Cole has taken up this cause and called for the U.S. to close the embassy. Diplomat Jack Croddy seems to be leading a revolt of the striped-pants crowd. The AP reported that his remarks quoted above were met with “loud and sustained applause” at the meeting. AP also noted that 1200 of the nation’s 11,500 foreign service officers have served in Iraq since 2003. Some of those who have served also spoke out at the meeting — noting, for example, the failure of the Department to provide mental health care upon their return from Iraq. Many suffer post-tramatic stress disorder — just like 15% of troops who served in Iraq.